Over time, Wan Mei and Chang An began to develop genuine affection for each other. But Cha Luo, the leader of the assassins took a dislike to Wan Mei and plotted against the couple with her cohorts. Wan Mei’s personality and gifts caused Gong Zi, the hidden owner of Gui Hua City to take a interest on her. 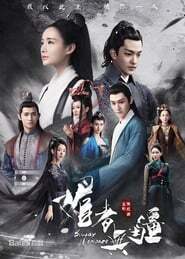 Burdened by his hidden identity, Chang An began to distance himself from Wan Mei. The protagonists found themselves embroiled in escalating conspiracies involving deadly betrayals and struggles for power.